Chris Brown in a chick flick? Anderson Cooper doesn't see it. The CNN anchor had a few choice words for the R&B singer during a "Ridiculist" segment on his show "AC 360" after learning that Brown -- who pleaded guilty to the savage 2009 beating of Rihanna -- is set to star in the new film adaptation of Steve Harvey's book "Act Like A Lady, Think Like A Man." 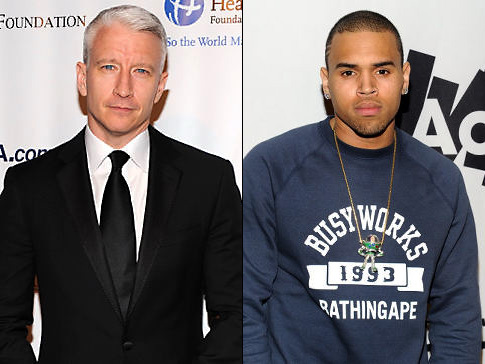 "Ladies and gentlemen, particularly ladies, Chris Brown has been cast in a movie," Anderson said. "And not just any movie, it's a romantic comedy based on a self-help book about relationships.